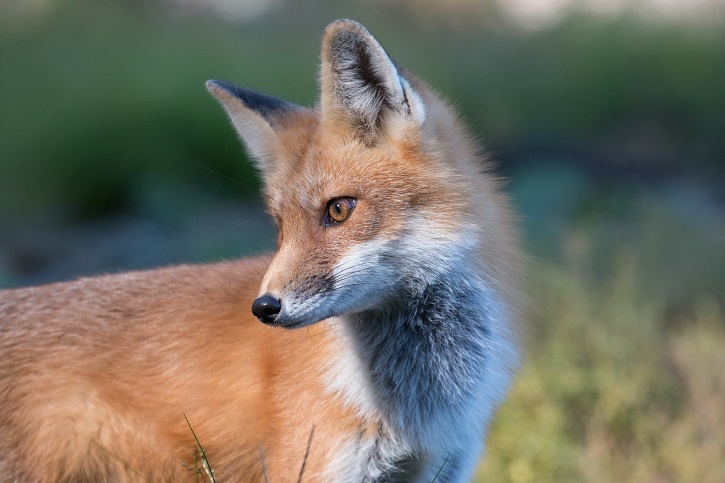 Posted on March 15, 2019 by Kelly M.
One of the many special things that makes Drumlin Farm a unique experience is our resident livestock. If you’ve visited recently, you were probably met by the very pregnant sheep and goats still in their thick winter coats. 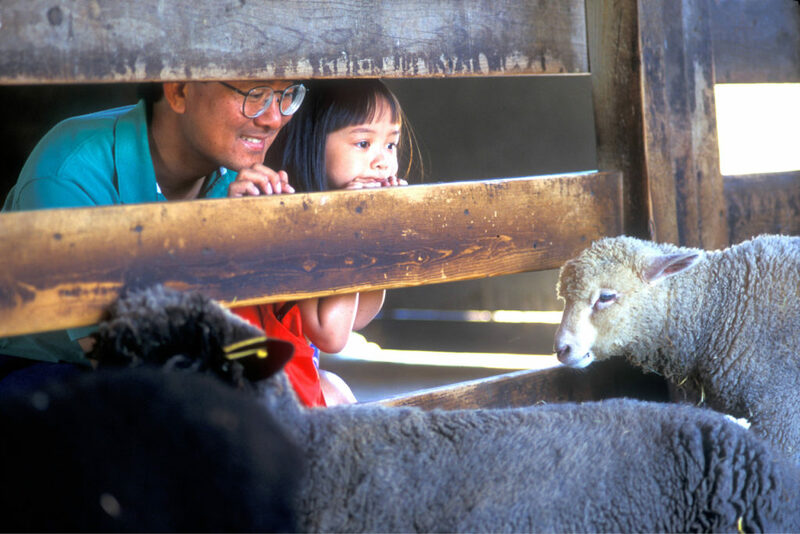 With spring comes the arrival of the newborn lambs and kids, and watching them walk, hop, and play is one of our favorite cornerstone spring activities. Such a favorite that we’ll be celebrating all things fiber and sheep related at Woolapalooza, our annual farm, food, and fiber festival. 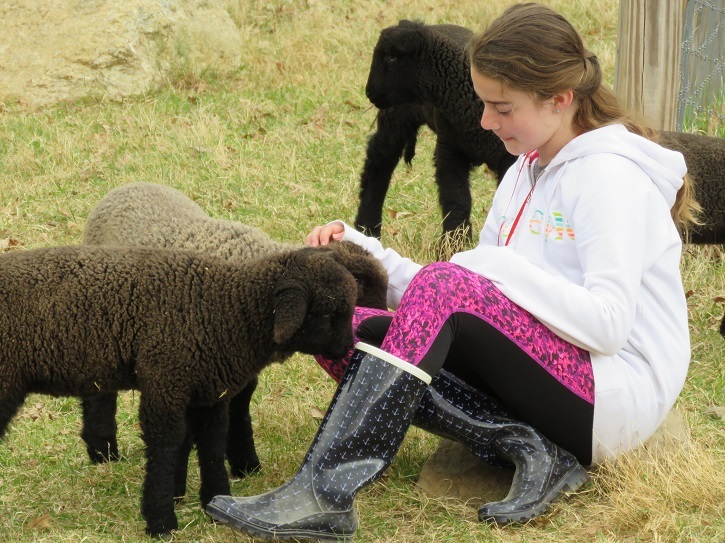 Visit on March 30th for sheep shearing, sheep dog herding demonstrations, local wool vendors, and a chance to visit the new spring babies! February Vacation Week had us looking into the science of snow and winter, but it’s warming up in April! 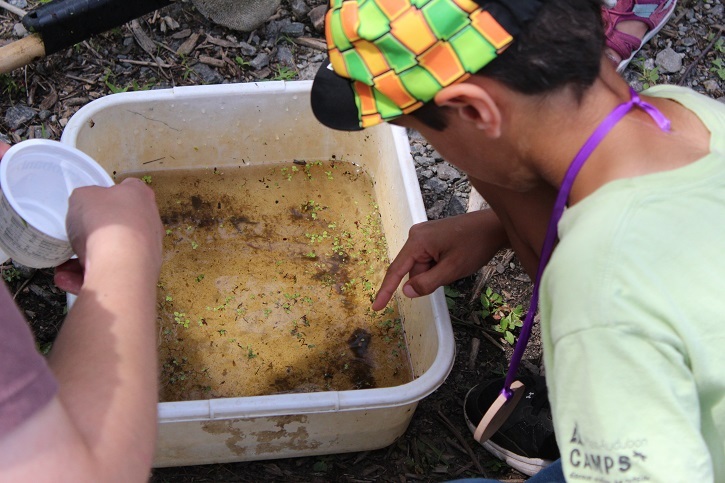 During one day or full week sessions the week of April 15-19, children will explore the thawing ponds for amphibians, take care of the wildlife, prepare and plant the garden, and meet in the kitchen to whip up some tasty treats. April Vacation on Drumlin Farm is always alive with the sounds of laughter and amazement at the new lessons we find. The spring growing season begins with crispy leafy greens. Bursting with an array of tender head lettuces, herbs, scallions, and salad radishes, we’re excited to start making fresh salad every week. Our spring CSA program allows you to share in the bounty of harvest, and you can pick up Drumlin Farm grown vegetables every week for your own kitchen. 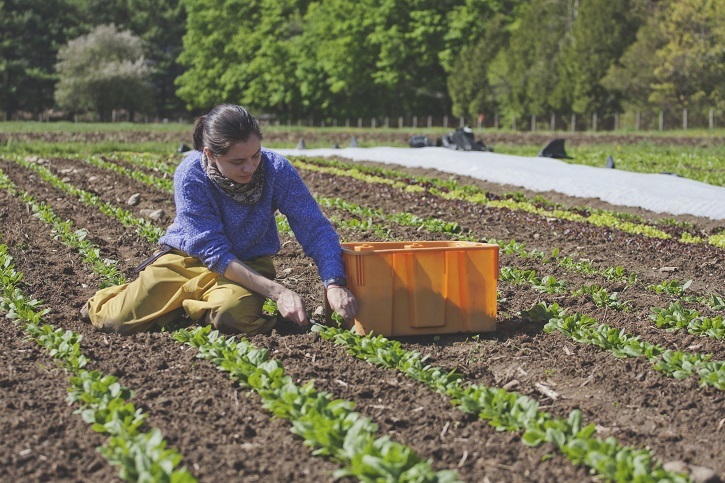 As the fields warm, shares will fill out with the first of the season’s carrots, sweet salad turnips, and (weather permitting) sugar snap peas, strawberries, and beets. Taste the difference between store-bought and farm-grown for yourself! Pencil in Drumlin Farm to your weekly schedule with the arrival of spring Child, Adult/Child Pair, and Family Series programs so you can visit the farm every week! You can spend time with your children in a social, educational environment and explore our habitats and wildlife together with programs like Farm Family, Family Explorations, and Old MacDrumlin’s Farm (families with children ages 2-6). 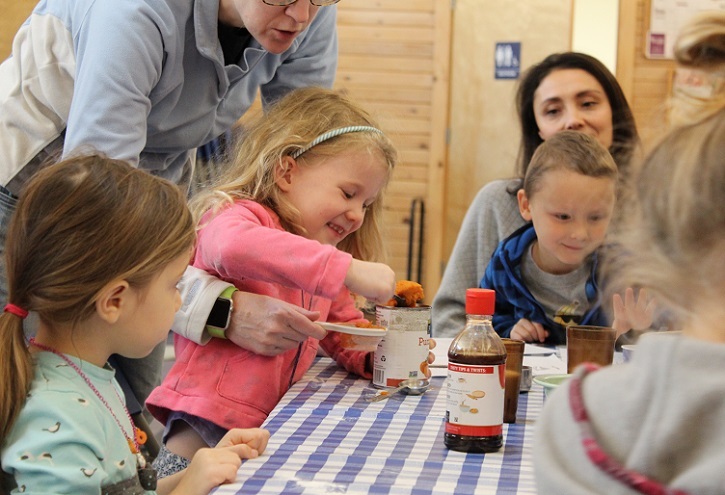 Learn first-hand about “where does my food come from” and experience the farm-to-table process in Drumlin Cooks (ages 9-12), Kids in the Kitchen (ages 6-9), and Cooking Together (families with children ages 3-5). Vernal pools are temporary bodies of water in our forests filled by melting snow and spring rain. Within these muddy, murky waters live a world of life including tadpoles, fairy shrimp, and dragonfly larva that will metamorphose into adults before the pools dry up. 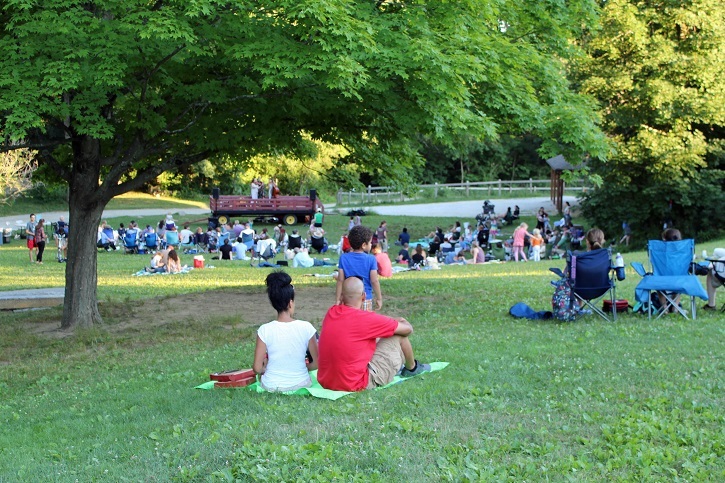 Come see for yourself in Polliwogs & Frogs (families with children age 2), Tadpoles & Toads (families with children ages 3-5), and Afternoon Kids Club (ages 4-6). 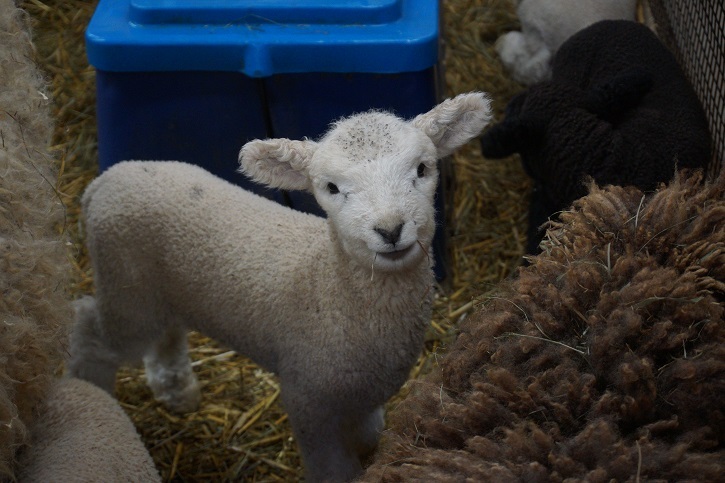 This entry was posted in Animals, Education, Events, Farming, News, Programs and tagged children programs, csa, family activities, family programs, farm, farm-to-table, fun activities, lambs, outdoors, programs, special events on March 15, 2019 by Kelly M..